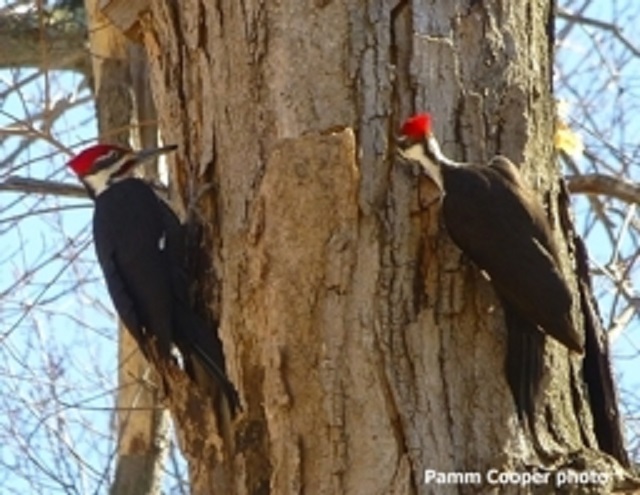 Connecticut is home to 7 species of woodpeckers that live in forests, woodlands, orchards, residential areas, and city parks throughout the state. Woodpeckers are well adapted to maneuvering around tree trunks searching for insects and spiders. With their sturdy beaks, woodpeckers can bore holes into trees for feeding and chisel out cavities for nesting. To extract insects from crevices and holes in trees, woodpeckers have a long, sticky tongue with a barbed end with which they can snag insects. Woodpeckers are an important part of the ecosystem and help to control insect populations. 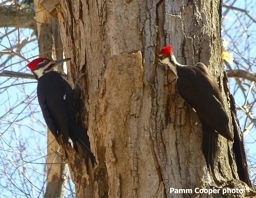 Nuthatches, screech owls, kestrels, starlings, squirrels, flying squirrels, deer mice, and raccoons all use woodpecker tree cavities for nesting and cannot excavate them by themselves. Predators, including hawks, owls, snakes, raccoons, and starlings, eat adult woodpeckers, nestlings, or woodpecker eggs. Woodpeckers cause property damage by drilling holes in wood and synthetic stucco siding and eaves, and can be an annoyance when hammering or "drumming" on houses. Woodpeckers hammer to attract mates, to establish and/or defend a territory, to excavate nesting or roosting sites, and to search for insects. Wooden shingles, cedar or redwood siding, metal or plastic gutters, television antennas, chimney caps, and light posts are selected as drumming sites because these materials produce loud sounds. Woodpecker damage can be prevented or eliminated with several techniques including visual repellents, loud noises, exclusion, and alternate construction materials. 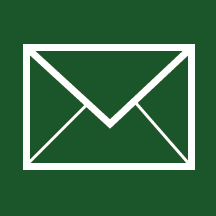 Provide nesting boxes as an alternative. Take immediate action to reduce damage because woodpeckers are not easily driven from their territories or pecking sites once they are established. Cosmetic mirrors can be placed on the side of the house where damage occurs. Attach one or two mirrors flat to the wood with the enlarging lens outward to frighten woodpeckers. Hawk mobiles with a wing span of about 22 inches and a length of 11 inches can be constructed from cardboard or plywood and painted a dark color. Hang the mobile by the damaged area with string. Use the tape from an old cassette and attach it to the surface with two nails at each end keeping the string taut. Wind will cause the string to vibrate and produce a sound that wards off woodpeckers. Mylar strips, pinwheels with reflective vanes, or aluminum pie tins, may also be placed near the damaged area to frighten woodpeckers. Allow the wind to blow the strips, pinwheels, and pie tins freely.